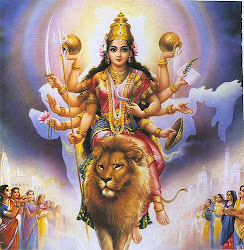 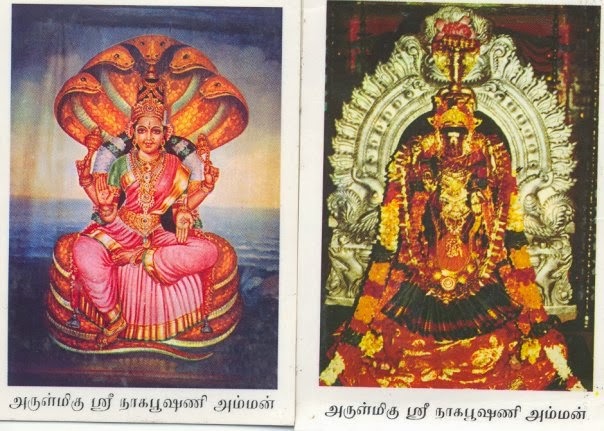 Lakshmi Narayan or Lakshmi-Narayana (Sanskrit: लक्ष्मी-नारायण, IAST: Lakṣmīnārāyaṇa), also sometimes spelled Lakshminarayan, Lakshminarayana, Laxminarayana, is a manifestation of Vishnu in the Hindu religion. 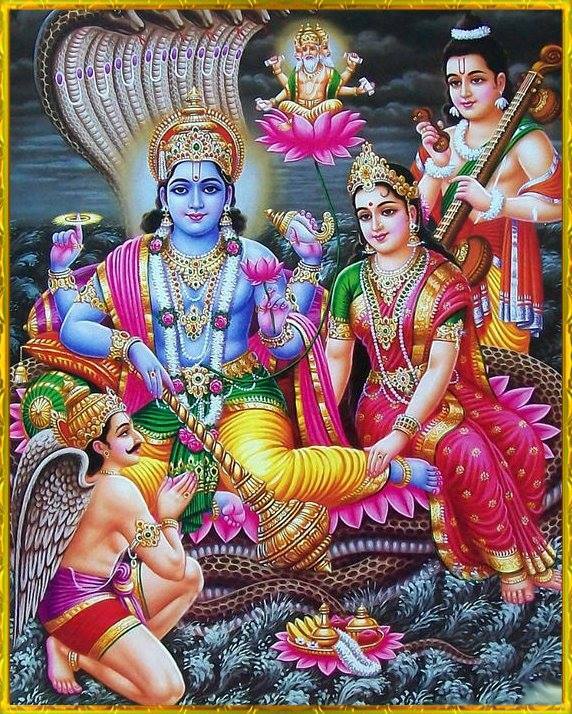 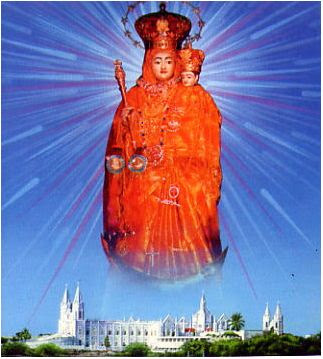 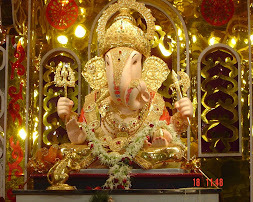 It is usually referring to Vishnu, also known as Narayan, when he is with his consort, Lakshmi, in his abode, Vaikuntha. Lakshmi is depicted as standing next to a dark-skinned Vishnu, who is holding a conch, mace, lotus and the Sudarshana Chakra. 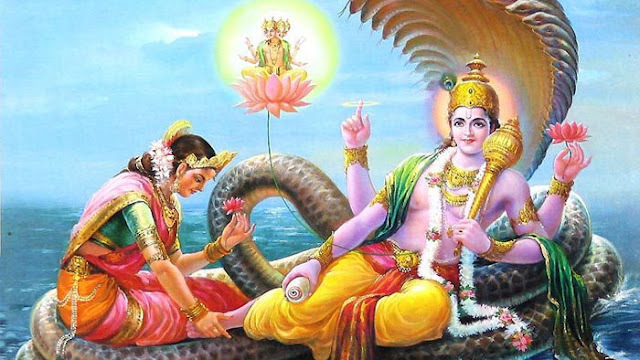 Another depiction of Lakshminarayan portrays Lakshmi in the service of Narayan, who is reclining on the cosmic serpent Sesha, floating in Kshīrsagār, the Ocean of Milk.